Police in Prince George’s County were called to a home in Lanham this morning. Once their officers discovered the body of a person in the back of a home on Lundy Drive. There’s no word on the suspect’s identity or the gunman. Investigators remain in the area this hour working on clues. President Trump is set to talk to the American public during prime time. The focus is on why he wants $5.7 billion dollars for his border wall. The 9 o’clock address will be made from the Oval Office in the White House. We have learned that some networks will air the Democrats response to the President’s address. The partial government is now in its 18th day and it doesn’t appear that it will be ending anytime soon. Both sides remain firm in their stance. Today a community mourns the death of a 7-year-old little girl who was shot in the head as she rode in a vehicle with her mother and siblings. Her mother says they were making a coffee run when a vehicle pulled up next to them and fired several times into their vehicle. 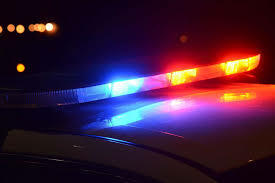 Her mother and another child were also struck. they survive. 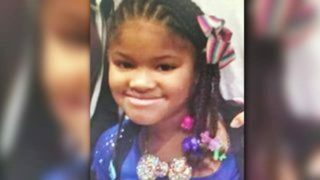 Jazmine Barnes was pronounced dead on the scene. A massive manhunt for a white man in a pickup truck began. It was later learned that the gunman was not white. Police have arrested the driver who confessed. 20-year-old Eric Black Jr. he admitted to driving the vehicle during the shooting. He has been charged with capital murder. A second man has been arrested but not charged.